From the time you arrive until the moment your head touches one of our comfy pillows, you’ll know you’ve found your favorite vacation getaway. Located in the heart of Pigeon Forge, just one block from the Parkway, Country Cascades provides a respite from the stresses of daily life. 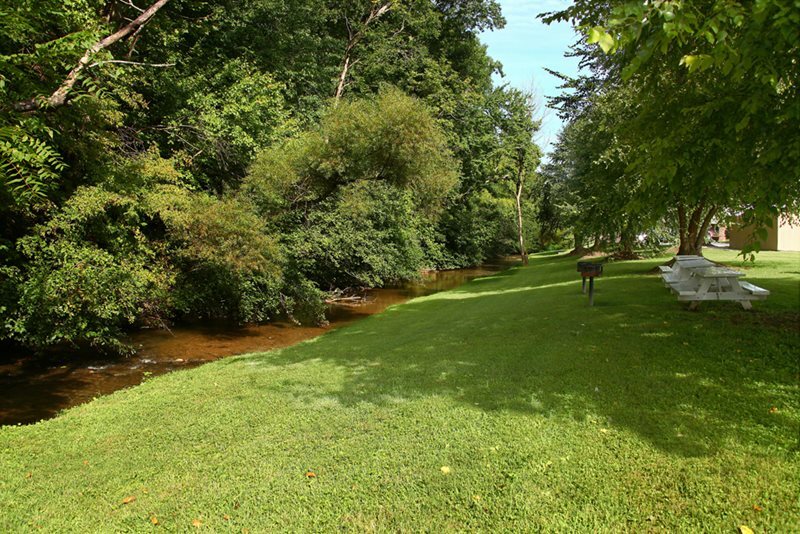 Country Cascades offers a wide variety of amenities. Free, high-speed internet access is available to all of our guests; computer is provided in the lobby area for business needs or general browsing. 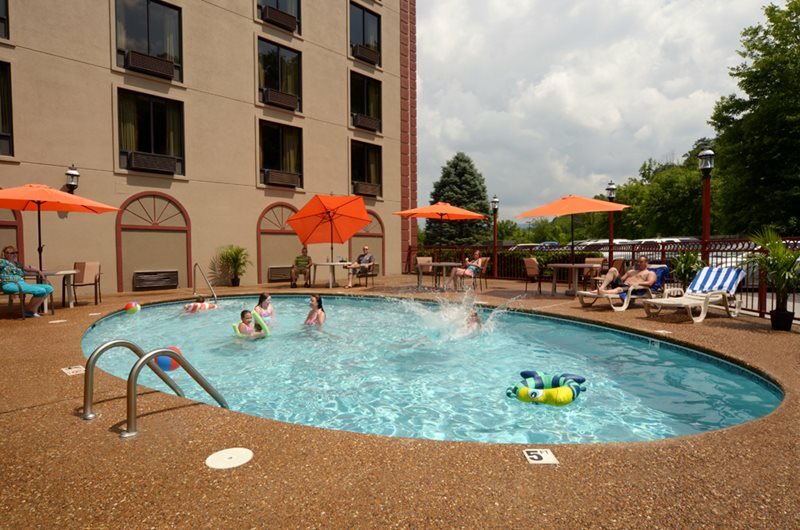 Other amenities include an indoor pool and hot tub, outdoor pool, charcoal grills, and more. A flat-screen TV, DVD player, mini-refrigerator, iron and ironing board, hairdryer, and coffee maker all come standard. Every guests at Country Cascades is invited to our deluxe breakfast: scrambled eggs, sausage, biscuits and gravy, Belgian waffles, delicious fruits, hot and cold cereal, donuts, and bagels. Country Cascades is close to all the fun, while providing peace and quiet to our guests. Relax in our picnic area, or watch the wildlife in Mill Creek from our gazebo. Mill Creek is frequented by ducks, herons, red-tailed hawks turtles, and even muskrats, you’re bound to find a bit of nature right in the center of Pigeon Forge. 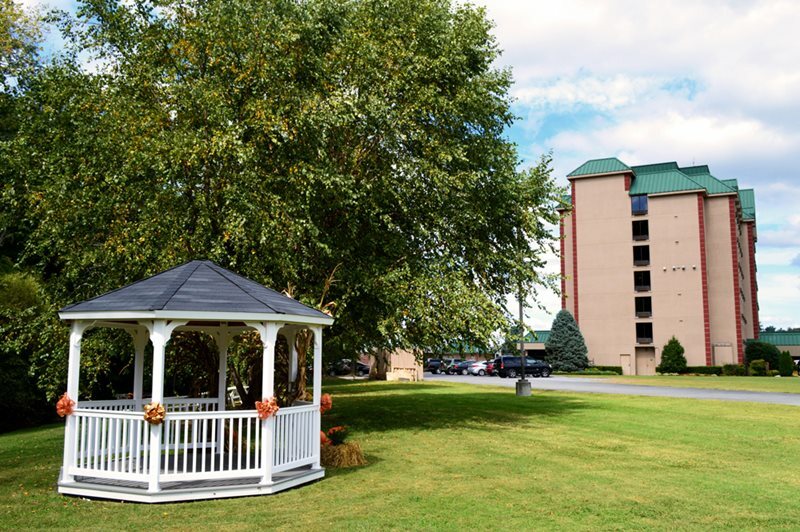 Country Cascades is also a great location for receptions, reunions, and more. 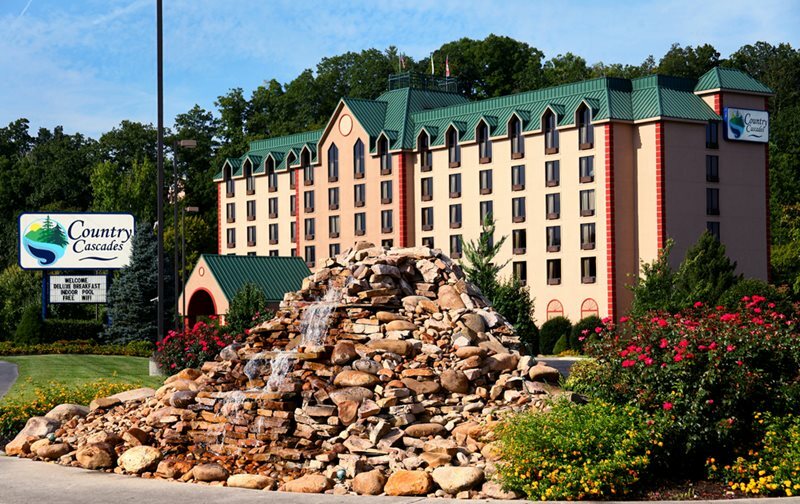 Given its proximity to the Parkway in Pigeon Forge, our meeting place is perfect for planning a complete itinerary within Pigeon Forge. 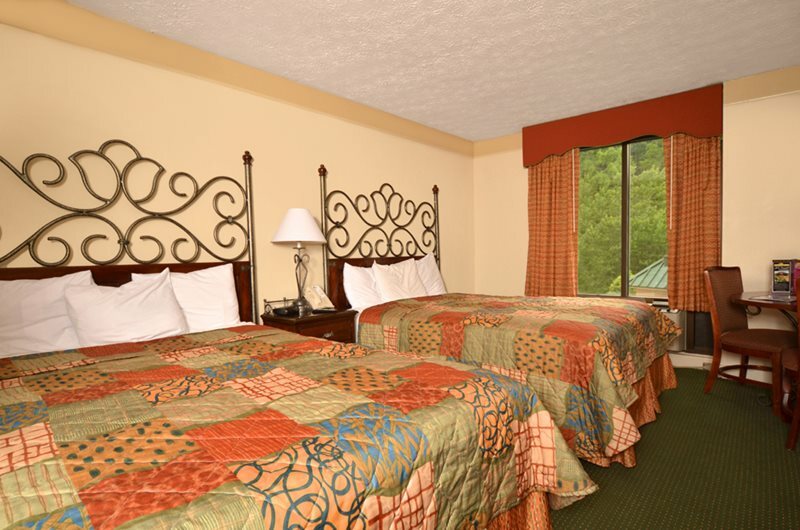 And at over 2,500 square feet, the rooms are comfortable and customizable. 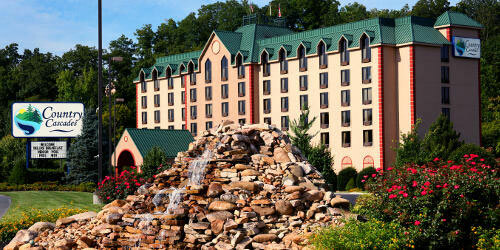 Stay today at Country Cascades in Pigeon Forge, and begin your Smoky Mountain adventure!